CyberGhost isn't quite the fastest VPN we've tested, but it has consistently fast speeds. One of the more common interfaces for VPNs is a map with location markers. Click the location marker and you’re automatically connected to a VPN server in that country. CyberGhost takes a different approach on Windows. First it wants to help you decide on the purpose for which you need a VPN such as regular web browsing, unblocking geo-restricted streaming sites (not including Netflix), torrenting anonymously, choosing a specific server in the CyberGhost network, or automatically protecting a Wi-Fi connection you use often. Each of these options is represented by a touch-friendly tile, which would make this interface handy to use on a Windows tablet. This interface isn’t meant to replicate the Android and iOS apps, which have a markedly different interface. Once you select the desired tile, CyberGhost presents you with a number of VPN options specific to that purpose. The most commonly used tile is probably Surf Anonymously, which is the standard web-surfing option. Here there are options such as blocking ads or malicious websites, extra speed, and data compression. Most of these are turned on by default with the exception of data compression. There’s also a drop-down menu to select your desired country, as well as an option to launch your default browser in incognito mode, regular mode, or not to launch your browser automatically at all. By default, CyberGhost launches your default browser in incognito mode, which is a nice touch, although advanced users may get annoyed by this. CyberGhost’s one-click interface availalbe from the system tray. The nice thing about all these options is you can ignore them. Just hit the Start Anonymous Surfing button at the bottom, and CyberGhost will connect you to the VPN. The other tiles have similarly simple options. Choose the option to unblock a streaming site for example, and you’ll be presented with all the various sites that CyberGhost can unblock. CyberGhost also has a secondary interface that’s even easier to use. Click on the CyberGhost icon in the system tray, and you get a one-click access interface. Choose the country connection you want or just let CyberGhost pick one, click Connect and you’re good to go. This interface also shows your five most recent connections, allowing you to select one of them on-the-fly and connect automatically. CyberGhost definitely delivered on speeds. It’s not the fastest VPN we’ve tested, but it does have the most consistent speeds compared to others. Most VPNs usually fall short in locations such as Australia, Singapore, or Hong Kong. Not CyberGhost. In my tests, the VPN scored, on average, 47.49 percent of the base speed. Only Mullvad scored higher. Breaking it down country-by-country, CyberGhost beats Mullvad on three of the five countries, and in the last two (the United Kingdom and Germany) Mullvad pulled off very high scores to win the top spot. That said, CyberGhost wasn’t that far behind and was consistently fast for all the connections I tested. I’d really call it a tie between Mullvad and CyberGhost for speeds. CyberGhost is pretty good on anonymity, but others—notably Mullvad—are better. First, to sign up for an account, CyberGhost doesn’t ask for an email address or any identifying information. Instead, it asks for a username and password. Now this is pretty good, but this is also where some people may fall short. If you’re looking to maximize privacy, do not register with a username that you use elsewhere. If you use the name VPNSpectre on CyberGhost, for example, but that’s also your username on Tumblr or a popular online forum, then uncovering your identity would be trivial. 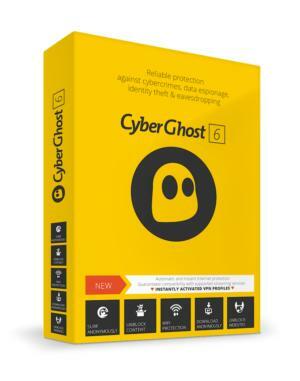 CyberGhost sells boxed software with select online European retailers. Payment options for CyberGhost include PayPal, credit cards, and Bitcoin, which is about average for most services. But CyberGhost takes pains not to retain any payment information about its users. For that reason, it hires a third-party payment processor—Germany-based Cleverbridge—to handle its credit card transactions. CyberGhost also accepts cash payments via third-party online retailers such as Amazon in select European countries. These retailers sell a boxed software package that includes a license key for CyberGhost that is not tied to the purchaser. American users, however, are not able to purchase these packages and are stuck with credit cards, PayPal, or Bitcoin. CyberGhost has a clear no-logging policy. The company says the only information it logs are non-identifying server usage logs to maintain its network. That’s it. No IP or website logging, and no connection/disconnection logging for account users. As far as I can tell, CyberGhost’s promises haven’t been tested in court, so you’ll have to take it on faith that the company does what it claims. But really, that’s no different than most VPNs. CyberGhost does publish a Transparency Report about its business. It includes any DMCA and malware complaints the company receives, as well as law enforcement identity requests from various police forces. The most recent transparency report at this writing was for 2015. CyberGhost’s website has a clear description of the company’s team. The co-founder and CEO is Robert Knapp, and other top executives of the company are listed including CTO Timo Beyel, and COO Oana Dima. CyberGhost’s business address is listed on its Terms and Conditions page as Stelea Spătarul Street, No. 12, District 3, 030213, Bucharest, Romania. 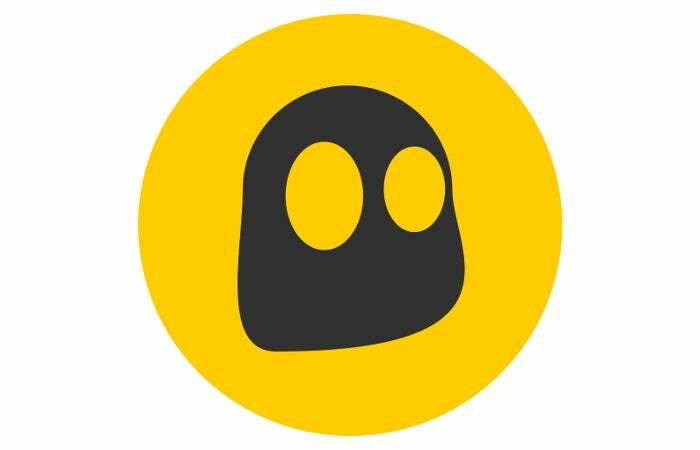 If you’re looking for speed, CyberGhost is well worth a look, especially if you want VPN locations in western Europe and North America. The service has a large number of servers and a healthy selection of country locations. It’s privacy protections are good, but not quite as good as Mullvad’s. The VPN also has a number of nice features such as regional unblocking for streaming sites—though that doesn’t include Netflix. Pricing for CyberGhost is also reasonable, coming in under $60. Unless you need Netflix or desire the maximum privacy possible, CyberGhost is an all-around solid choice for your regular VPN.